ClickFunnels (Visit Website) and ONTRAPORT (Visit Website) are both marketing tools that help marketers and entrepreneurs scale and grow their businesses. ClickFunnels is a platform that allows you to build high-converting sales funnels to generate leads, create one-click upsells and webinars, grow your sales, and more. They’re a one-stop shop, and they come with many templates, plenty of integrations to streamline your marketing efforts. 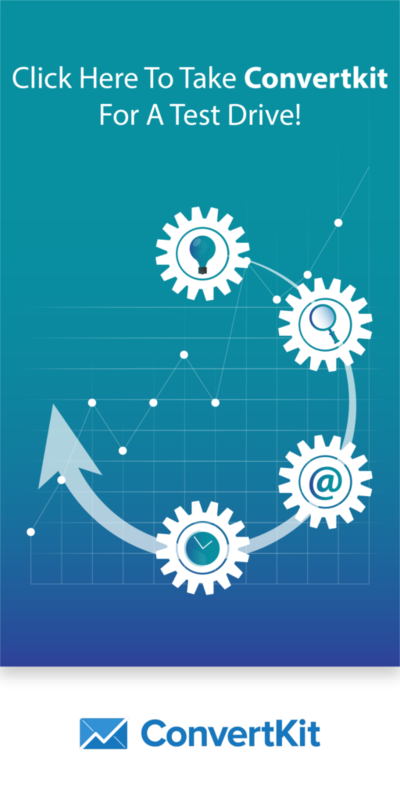 Ontraport is an all-in-one solution incorporating CRM, marketing automation, advanced marketing tracking and more..
ONTRAPORT is designed for beginners and experienced marketers alike. With a huge range of features packed into an intuitive interface. ONTRAPORT gives you the ability to view all your company’s data in one place without the need for spreadsheets or manual calculation. In this section, we walk you through the features of these two marketing tools, and discuss their pros and cons. Using this information, you can evaluate both tools, and decide which one serves your needs better! You can use both clickfunnels and ONTRAPORT to create landing pages. Both come with ready-made templates, and an easy-to-use drag-and-drop editor. You can also use either tool to create autoresponder campaigns. Once you choose your sales funnel, you can use the ClickFunnels page editor to set up a landing page as part of your funnel. You can choose from the option pages to generate leads and build sales pages, upsell pages, webinar event pages, membership sites, and much more. You can customize your landing page by adding buttons, audio, and video. You also have access to surveys, SMS sign-ups, pricing tables, user logins, affiliate links, and more. If you want your customers to make a purchase on your landing page, there are many order-related elements that will get the job done, such as order forms, order summaries, order confirmations and upsells. The ClickFunnels platform makes it easy for you to have individual landing pages set up and running quickly. It also provides a framework and a structure for your whole sales funnel. ClickFunnels gives business owners and marketers an easy, no-fuss way of setting up a sales funnel. Here are the pros and cons to keep in mind if you’re thinking of using ClickFunnels. ClickFunnels gives business owners and marketers an easy, fuss-free way of setting up a sales funnel. Here are a few pros and cons to keep in mind if you’re thinking of using ClickFunnels. You can easily tie all sales components together and set up your entire funnel in a single afternoon. ClickFunnels includes several pre-built sales funnels, so you have a structured framework to follow easily. ClickFunnels provides free training materials and ongoing weekly webinars to get new users up to speed. There are many options and possibilities with Clickfunnels. This option-rich tool might be a little advanced for new bloggers who want to build up a subscriber list. If you’re trying to build a sales funnel, but you’re overwhelmed with its complexity, then ClickFunnels is a great all-in-one solution. It allows you to view and manage all sales elements using a single dashboard. ONTRAPORT is an autoresponder and a CRM tool in a single package. It offers a powerful visual marketing platform that shows how your entire sales process works on one single campaign map. ONTRAPORT features a variety of customizable web forms, lightbox lead captured forms and variety of landing page templates. You save time with ready-to-go marketing campaigns. Or you can create your own campaigns from start to finish with a few clicks using Ontraport’s intuitive visual campaign builder. ONTRAPORT has more than 66 integrations with landing page software, helpdesks, social networks, e-commerce software and more. ONTRAPORT also supports Zapier integration. Ontraport Pro costs $297/month (which is not cheap, generally speaking). The high cost might be a barrier for some smaller businesses. However, Ontraport is a top-tier marketing automation tool with its excellent visual campaign builder and performance reporting. ONTRAPORT allows you to build your campaigns from scratch or choose from a library of templates that include pre-designed pages, emails and everything else you need to launch your campaigns quickly. ONTRAPORT has built-in visual reporting that reveals real-time information about your marketing performance. 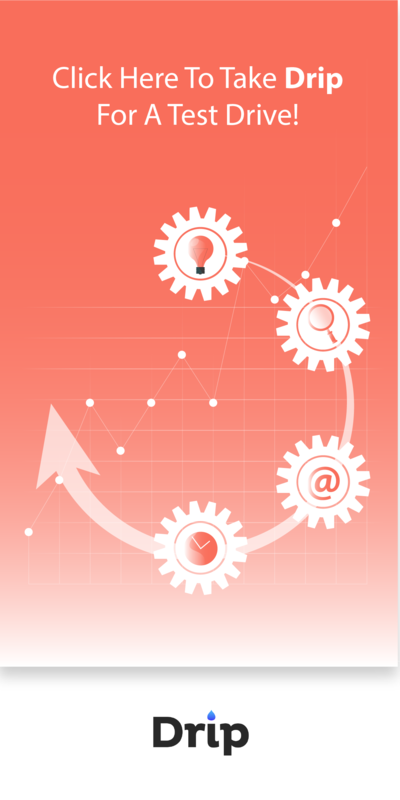 At a glance you see all the pertinent information about a customer – where, who and when the conversion occurs. You also get to see their lifetime value – all tied back to your marketing activity. ONTRAPORT gives you the information to make well-informed, data-based decisions quickly. You have a live sales team that needs a visual way to manage the leads in their sales pipeline and also triggers automation. ONTRAPORT has its own dedicated Internet Protocol addresses, which means that your E-mail delivery rate is excellent and allows you to easily avoid the spam box. ONTRAPORT provides integration with mobile platforms and WordPress, personalized landing pages, postcards and personalized URLs, meaning that you don’t need worry about purchasing extra third party extensions. To make it even better for the user, ONTRAPORT also includes 2 hours of consultation. 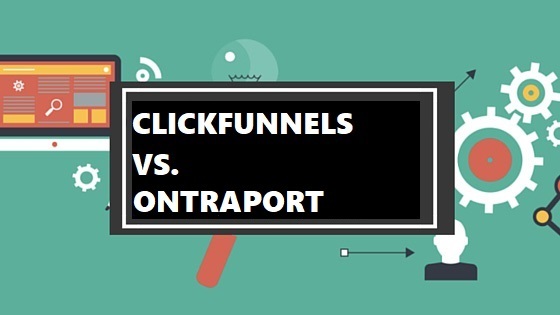 ONTRAPORT costs more than ClickFunnels which might be a barrier for some smaller businesses and entrepreneurs. However, ONTRAPORT outpaces the marketing automation capabilities of ClickFunnels with its visual campaign builder and performance reporting. 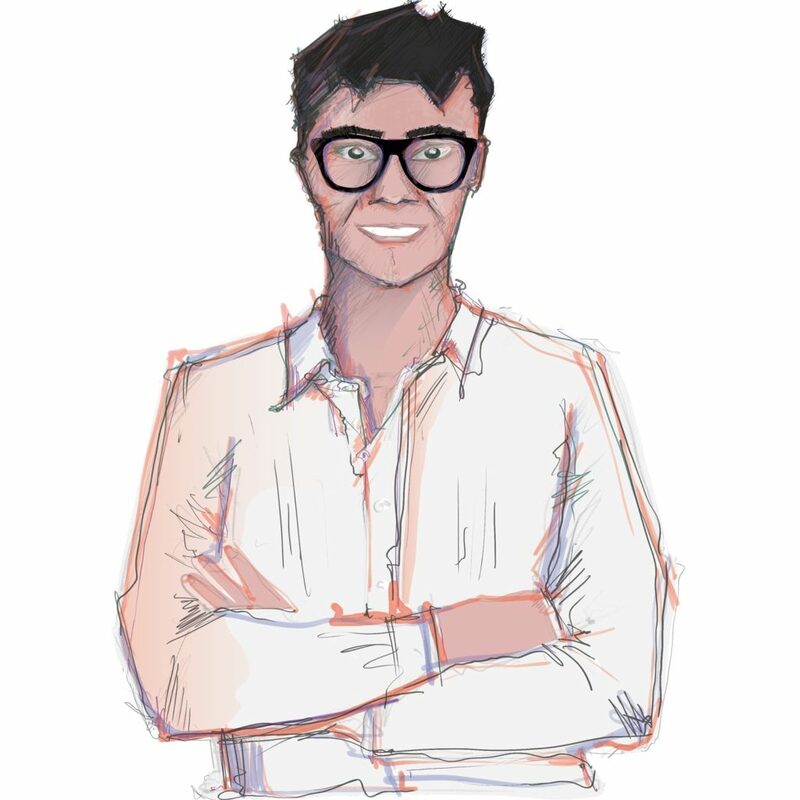 You’re tired of building and managing your funnel from five different dashboards. ClickFunnels can help you streamline your funnel, and make it more effective. Clickfunnels is an all-in-one sales funnel application that lets you create landing pages, collect email addresses, follow up via email and SMS. With ClickFunnels, you remove all the guesswork and trial and error by starting with a ClickFunnels template. Of course, you should still A/B test each element of your funnel and optimize it along the way, but you’re starting off with a funnel that’s well-designed and less likely to leak, right from the get-go. Clickfunnels focuses mainly on templated funnels and email marketing. If your marketing needs are primarily emails and funnels, then consider Clickfunnels which has more pre-designed E-mails and funnel templates than ONTRAPORT. If you have plenty of integration needs, such as responsive application, PURLs and personalized landing pages, ONTRAPORT is a better choice for you. ...That if you'd like to give Clickfunnels a test drive, they have a Free 14 Day Trial.